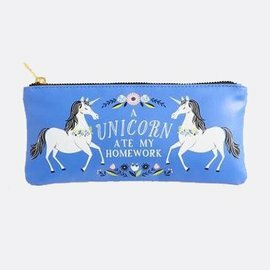 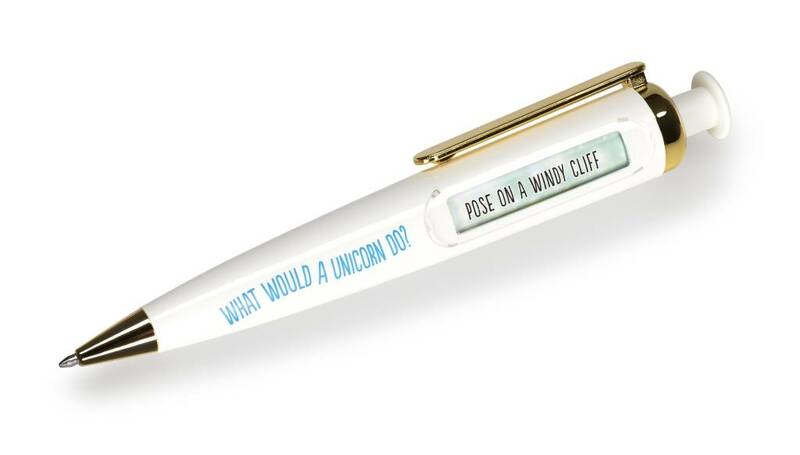 If you need to restore your faith in magic, this What Would A Unicorn Do pen is here to help! 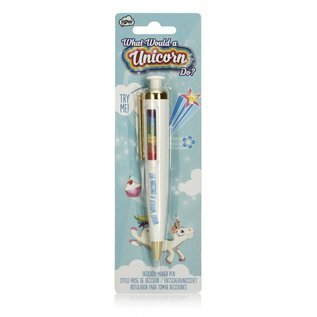 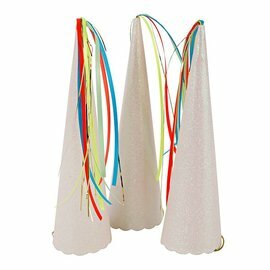 Just click to discover what rainbow-fueled activity a unicorn would get up to and do the same. 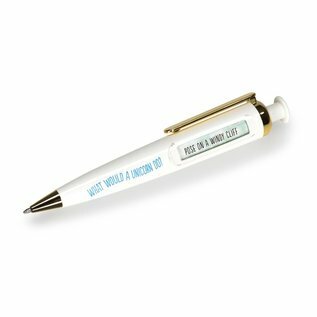 Quality black ballpoint pen in white plastic with rainbow window, gold colored nib and pocket clip.